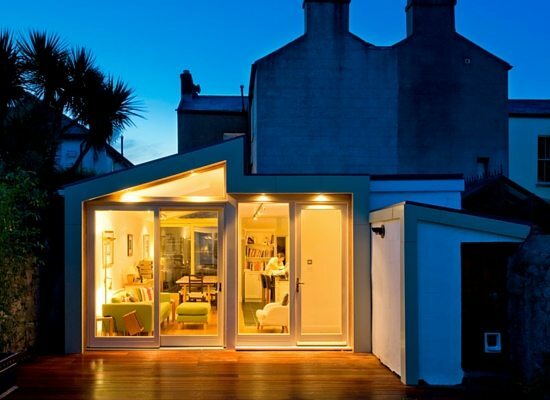 This Glenegeary House Extension and Garden Room was a double-header. 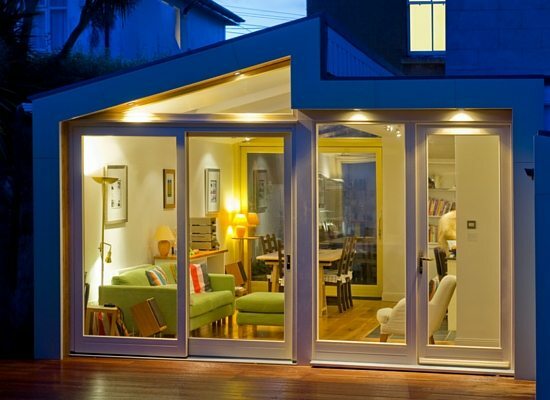 The extension at the back had become delapidated and the client needed to completely renovate the shed at the bottom of the garden. For Shomera this represented a unique opportunity to show our expert house-extension alongside our unique studio design and construction. Everything was completed using the full extent of allowable exempted development. 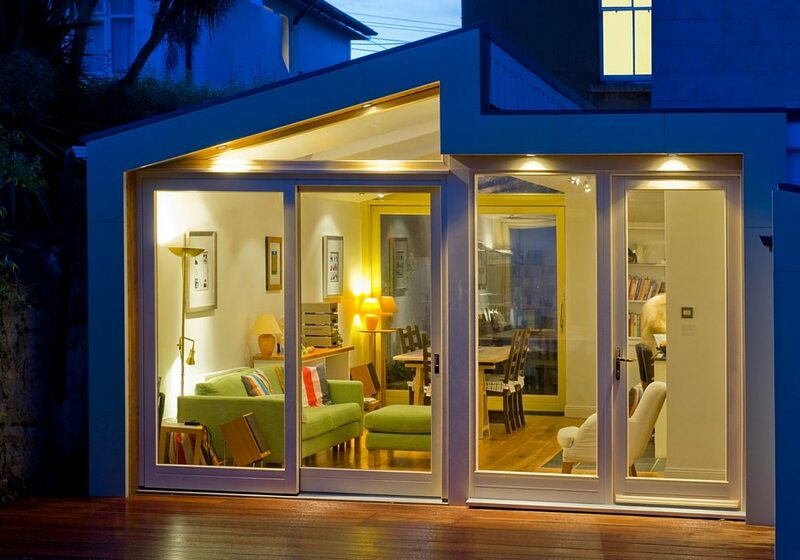 This means that none of the work you are about to see required any additional planning-permission! 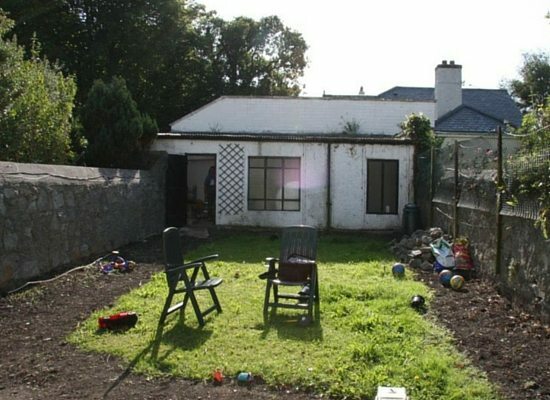 A poor-quality house extension had been added to the original return of the home, and had not aged well in relation to the rest of the property. Features New utility and study to front at GF, new master ensuite at FF. The shed at the back wall had become so dishevelled that it was good for very little but took up valuable space in the long, slender garden. This needed to be totally rebuilt without taking from the garden area. 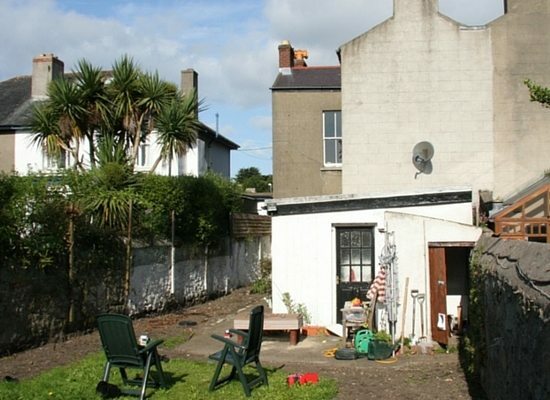 The existing extension was mostly demolished and new area was added to provide a new highly spec’d extension of 40 square metre, the maximum size permitted under exemption. This new space is the main open plan kitchen/living area for the house and includes a WC. Previously, the kitchen was removed from the beautiful garden area. The re-design allows the family to enjoy the garden fully while creating a new private courtyard area between the extension and the main house. 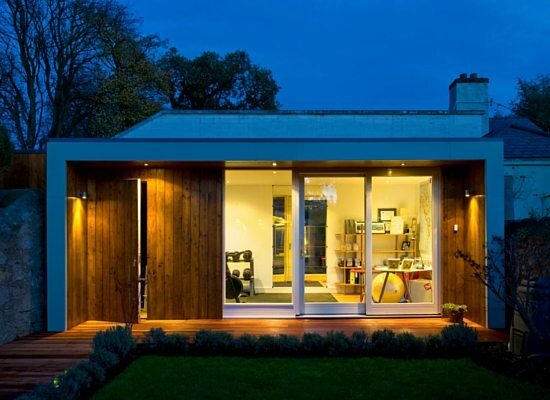 The 25 square metre studio to the rear of the garden is sub-divided into a storage area, bike shed and a modern home office with exercise facility. The two new spaces are connect ed by similar finishes, two hardwood deck areas and a rising hardwood path from extension to studio. Can I just say that we were thoroughly impressed with our experience of working with Shomera and are very pleased with the result. All our neighbours who expressed an opinion were also very positively impressed with the quality of the Shomera team compared to their recent building experiences.